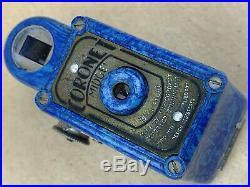 Coronet MIDGET Subminiature Camera Blue Bakelite w/Leather Case - Cute! 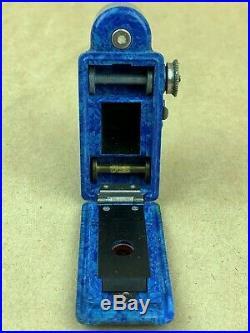 Coronet Midget is a subminiature 16mm film camera made by Coronet in England, and produced between 1934-43. 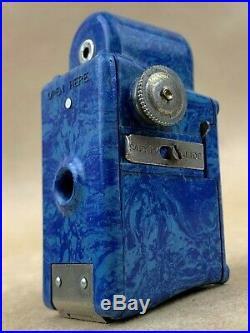 The camera was very cheap that used as a gift in cereal packets. But they say that "In every way a real camera and not just a novelty or toy". Midget was very small as a match box. In Used Conditions and in Working Order. 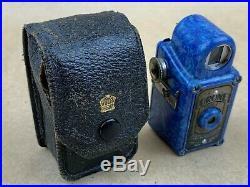 Nice Coronet MIDGET Subminiature Camera Blue Bakelite w/Leather Case - Cute! 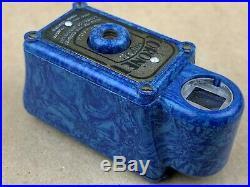 Just Like seen On the photos, A Great addition to your sub-miniature camera collection!! Please Check all my Pictures above for exact conditions. You will get exactly what you see on the Photos above. You are purchasing EXACTLY what you see in the pictures! We strive to provide excellent customers service to our buyers. 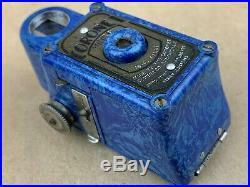 The item "Coronet MIDGET Subminiature Camera Blue Bakelite withLeather Case Cute" is in sale since Saturday, March 30, 2019. 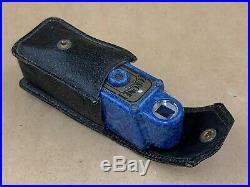 This item is in the category "Cameras & Photo\Vintage Movie & Photography\Vintage Cameras\Subminiature Cameras". 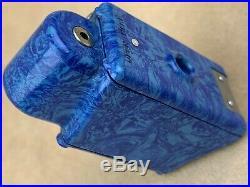 The seller is "villagegoodies" and is located in Bakersfield, California. This item can be shipped worldwide.